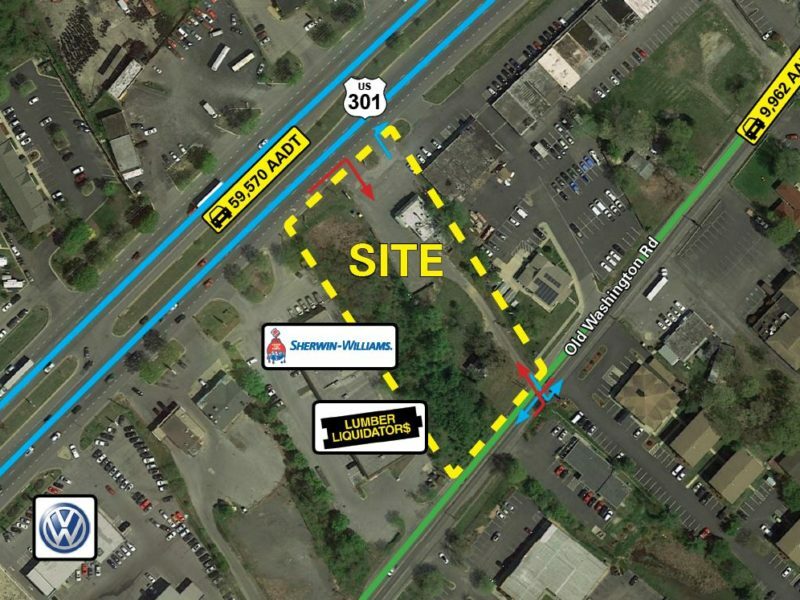 Redevelopment of existing retail building located on Route 301 (Crain Highway) and Route 925 (Old Washington Road) in Waldorf, MD. The proposed redevelopment will include razing the existing building and constructing a new multi-tenant building. This property is ideal for quick service restaurant, fitness, medical, office, and service retail users. The property offers excellent visibility from Crain Highway and includes pylon signage. Landlord will consider ground lease opportunities.